In this episode we see Carol having a change of heart and feeling the impact of all the killing she's done in the past. Tune in and listen to our podcast episode to hear what our thoughts are. Also, will we ever find this elusive Negan? 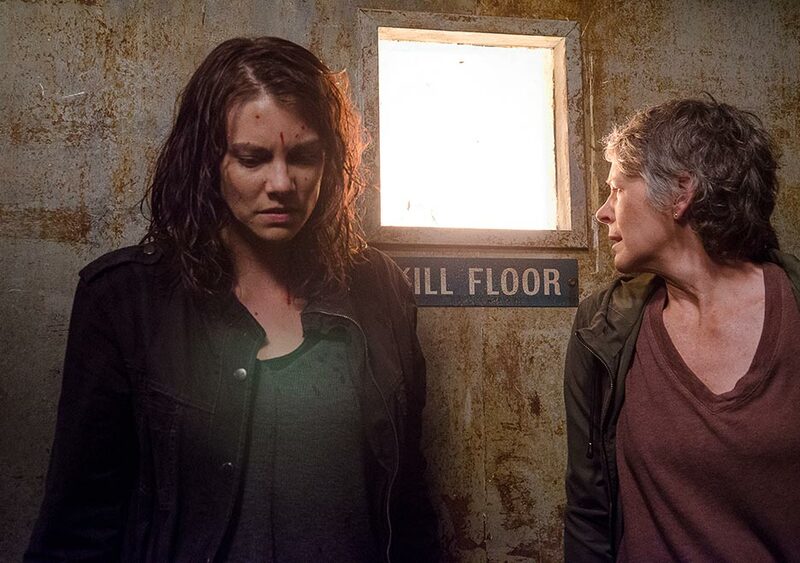 Maggie Green (Lauren Cohan) and Carol Peletier (Melissa McBride) on the kill floor.